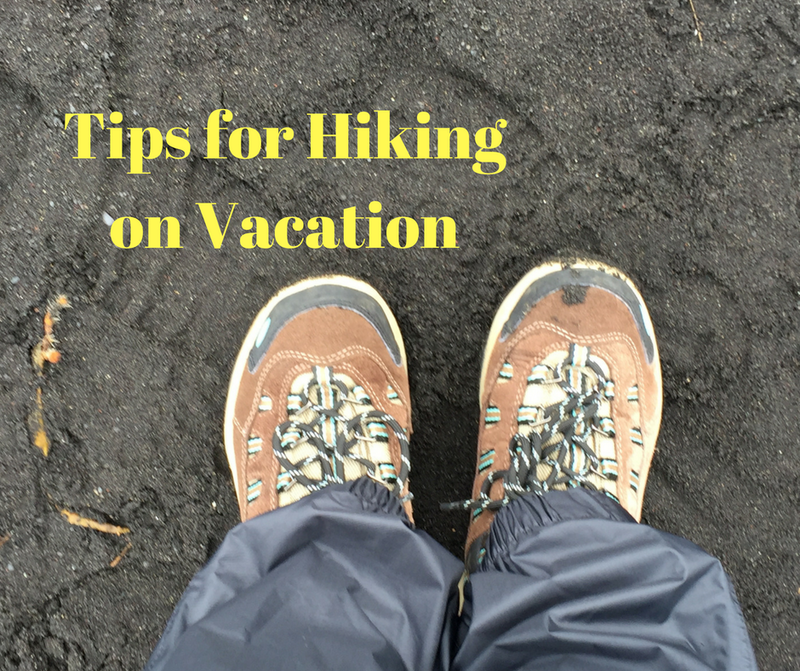 When hiking is a portion of your vacation, it is important to be prepared. Sometimes, hiking is a portion of our vacation and not the whole vacation itinerary. So, it is easy to overlook an important detail. Learn about the wildlife before going: Doing the research ahead of time pays. By doing some simple searches, you may learn about areas that are particularly buggy or what types of animals you may encounter. For example, we don't live in bear country have several of the places we have hiked in during vacation our. Knowing this ahead of time allows us to understand proper safety and if there are extra items to bring. Learn about the terrain before going: Terrain varies depending on location. So, what may be an easy hike in some areas would not be in others. When we are going on a planned vacation hike, we check out the terrain. Then, we look for trails closer to us that will help us prepare. Before hiking in Alaska, we found a number of bluff trails to hike to get us ready because most of the trails near us are rather flat. Understand the climate: It is important to understand the climate so that you can dress accordingly and make sure you have enough water. For example, Iceland can rain out of nowhere so I bring light weight wet pants with me. I only throw them on as needed. However, a lot of other places I do not need them. Make sure you bring proper hiking shoes: If you are not walking on paved trails, your normal walking shoes may not hack it. 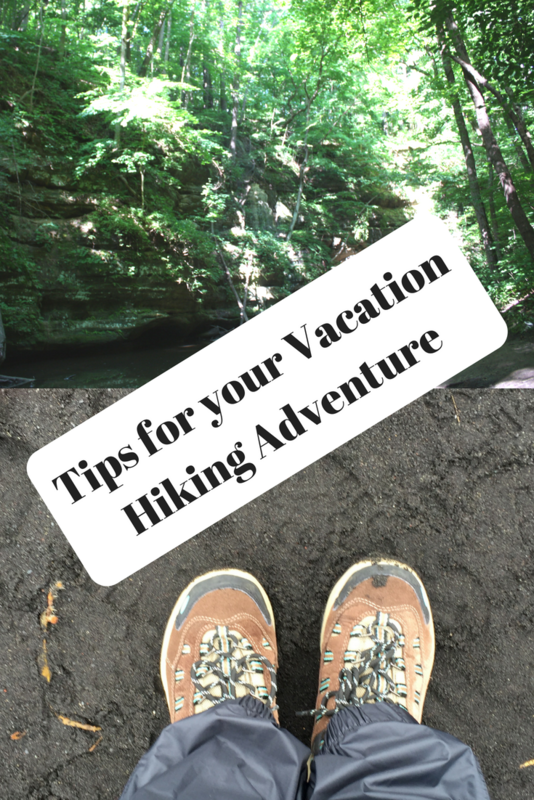 Hiking shoes can be heavy to bring along but I can tell you they are worth it when you encounter a wet trail. Maps: Before heading out on unfamiliar trails, it is important to make sure to have a map with you. You cannot rely on your phone. Snacks and water: I usually buy my snacks at home and bring them with me on the trip because you do not know how easy it will be to find them. I prefer a mix of fruit and something high in protein. Water you should be able to get but I would scout ahead to find a store nearby to get water. Stop in the Visitor Center: If you are hiking a new area, a stop in the Visitor Center before trekking. This is a great opportunity to learn some useful info about the trails before embarking. Change of socks: When you pack, you may be tempted to skip as many items as possible. But, do not skip on extra socks if you are hiking. I have all too often stepped in a mud puddle and splashed too much water. If I don't have the socks for after, I regret it! Don't forget your gear: Make sure to take along your essential gear. If you have already done the groundwork on what to expect in an area, you will have an idea of what is essential. Phone with extra charger: I like to make sure my phone is charged and carry an charged portable charger with me. Sunscreen and bugspray: I usually find manageable sizes to bring with me. Great tips especially the extra socks, never thought of that one! I learned my lesson -- we were almost finished with the skipping stones section and I submerged a section of my leg. Oooops! Soggy sock the rest of the day! Good tips! I always forget that extra pair of socks, and more than once, they would've been pretty handy. I am hoping now that I have written it out, I will remember! Something so easy to bring and entirely noticeable when you don't!